Looking to escape the crowds? Travel outside of school holidays to enjoy off-peak rates. Be quick and act now to secure your next luxury Noosa Hastings Street escape whilst still enjoying beautiful sunny days. ‘Savvy traveller’ rates apply February, March, May & June. Hastings Street, overlooking Main Beach. Hastings Park Noosa accommodation includes spacious two and three-bedroom apartments and penthouses. 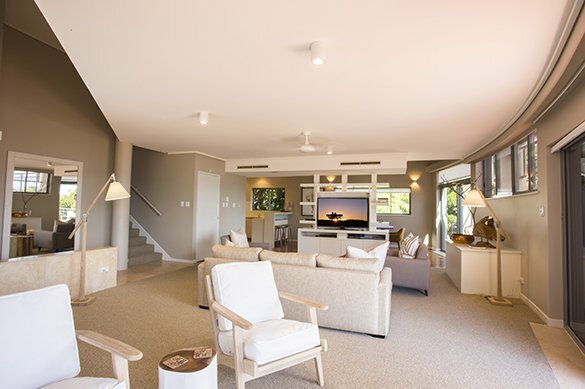 You’ve love our perfectly elevated position, with some of the best views in Noosa. The resort is central to all of the restaurants, cafes and boutiques on Hastings Street. It is a stroll across the road to Main Beach and a short walk to Noosa National Park. Our Hastings Street accommodation offers spacious, 3 and 4-bedroom, self-contained luxury apartments, all beautifully appointed. All are fully self-contained and the resort has all the modern conveniences you would expect for your next Noosa luxury holiday experience. to catch our lunch from the private Jetty, on most days. We highly recommend a holiday at this resort.